I just love this little fellow. His eyepatch is so adorable, and gives him such character! 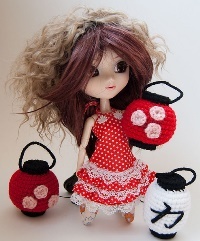 Cute little crochet amigurumi baby doll. 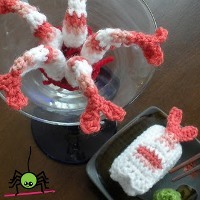 Wonderfully realistic amigurumi prawns (that's what we call them here in Australia) and sushi too. Perfect for seafood picnics in the cubby house! 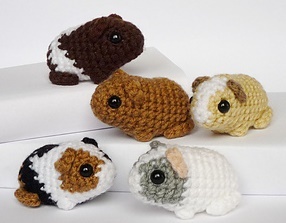 My kids are just dying for me to make some of these - our own guinea pigs had a litter last year, and it was so special. 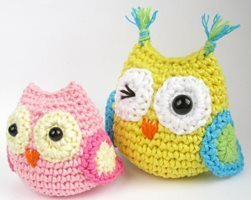 I can't get over how absolutely perfect these adorable crochet owls are! Isn't that wink just the cutest touch?! The ultimate in mobile phones! No fees, recharges, spam texts or wrong numbers. And I love the screen - it's an LFD, the latest technology available. 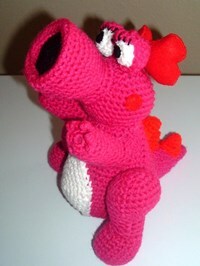 Birdo, a character from the Mario Bros games, and sometime companion of Yoshi from the same games. These two little girls are so cute! Such sweet faces, and the buttons on their dresses are a lovely touch. 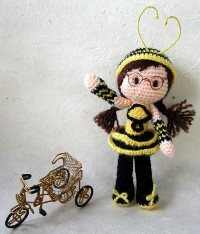 Fun little crochet doll dressed up as a bee. 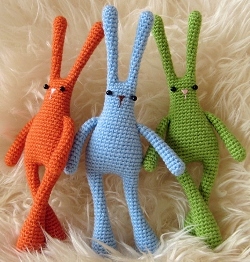 Fantastic knitted rabbits that look so real! 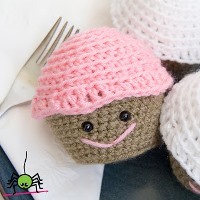 Knit in the round, they're all one piece with the legs seamed to the bottom. Adorable japanese lanterns by Karla Fitch to hang about the room. I love the smooth shaping of these rabbity creatures. 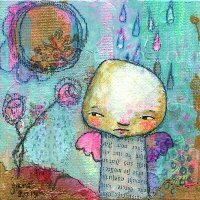 A lovely new look for one of our fave Easter friends. 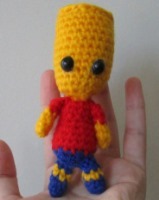 I love this little Bart Simpson figure, it's perfect!